Here is my fabulous grain-free and dairy-free bread. This is the second time I have made it and it was just as good this time. I even used it as burger buns. When you are making it, it is all rather foreign feeling because the flours behave quite differently from wheat flour but persist because it will work out. The dough holds together brilliantly but looks more transparent than ordinary dough. It is more gel-like. The rolls take quite a while to cook but brown up nicely. They do taste different but I really like the texture and so do Adriano and Dario. Give them a try. The rest of the burgers were made up of beef mince, water cress, homemade mayonnaise and roasted tomatoes. I roasted them according to instructions I found on a blog I visit often, That Skinny Chick Can Bake. Check it out for the roasted tomato recipe and for many more wonderful recipes. Oh, and her photos are great. Sift the two flours and salt together. In a pot combine the olive oil and water and bring to a boil. Remove from heat and add in the flour mix. Mix thoroughly then add the cumin seeds and egg and mix to combine. Place the rolls on baking paper on an oven tray and bake at 350°F or 180°C for 35 - 40 minutes. It is certainly a little different and yet absolutely satisfies the need for bread. I need help! In the proportions listed (1.5 cups each of flours, 1 cup water, 1/3 cup oil) it came out as a BATTER, not dough. What am I doing wrong??? I think you got the measurements wrong. I want to clarify that 1.5 cups is one and half cups. Do make sure you are using tapioca flour and not a substitute. I use this base for all sorts of things because it holds together so well. I love it for pizzas and yours sounds delicious. Thanks, Sandra. We have a national holiday today so it is a good week. Your burger looks so good. The buns with the cumin and garlic must add lots of flavor as well. Yes, the flavour with the garlic and cumin was great. I could vary that every time I cook them. By the way, they are really quick to make, unlike wheat bread. Bread is a comfort food and I don’t need it every day but once in a while I have been thinking about it so I had to find one that worked. The garlic was good and I love cumin so I used it too but any added herbs or spices would work really well. In people’s comments I see garlic mentioned. However I don’t see it in the ingredients. How much should I add? fresh or powdered? That’s a good question. I made these bread rolls during my Paleo stage but I now strictly follow the low Fodmap diet and so have changed the recipe so that I don’t lead my low Fodmap followers astray and removed the garlic. My suggestion would be to add a teaspoon of garlic-infused oil which would be suitable whether you are on the low Fodmap diet or not. Your rolls look golden and delicious! Thanks, Laura. I really liked that they browned up much better than the pan de yuca ones. They are quite unique, Maria, and satisfy the need for something solid and starchy like bread. Grain free bread and patties! The burger looks mouth watering, what a great job you’ve done! Thanks, Clare. At this point, grain is no longer necessary in my life. I have successfully filled most of the gaps with alternatives. Great looking rolls. Really interesting recipe – I’ll probably give this a whirl sometime. Good idea to mix various flavorings like spices. The burger looks pretty attractive, too. 😉 Fun recipe – thanks. It’s worth trying just for the sake of variety even though you are not grain-free. The flavour and texture are good even if not completely bread-like. Yum! I made these first Monday night and hadn’t worked with tapioca flour before and added it in all at once into the hot water/garlic/oil and it came out a little bit lumpy. However- the bread/biscuits were still sooo tasty I ate almost everything that night. I made these again Thurs night and was a little gentler/slower adding the tapioca flour to the hot mixture, they came out less lumpy and equally delicious! I also flattened them more with some baking paper, and they actually had the texture kind of like pita bread except twice as delicious! SOO good. I have been craving these now and jut bought more tapioca flour to make again tonight so my family can try with breakfast tomorrow :). Yes, it does take a bit of technique to make sure there are no lumpy bits. I used this recipe rolled out beneath baking paper for a pizza base but you must cook it before putting the toppings on. It made a delicious pizza. If you want to use butter or half and half, I can’t see a problem with that but most breads are made with oil. I haven’t tried them with butter myself but I am sure it will work. added your RSS feeds, so when I have time I will be back to read a great deal more, Please do keep up the awesome jo. I suspect you can’t substitute the flour in this case. Tapioca is a very particular flour which creates the gluten-like quality which makes the bun. Arrowroot powder should work perfectly but I have never tried green bean starch. 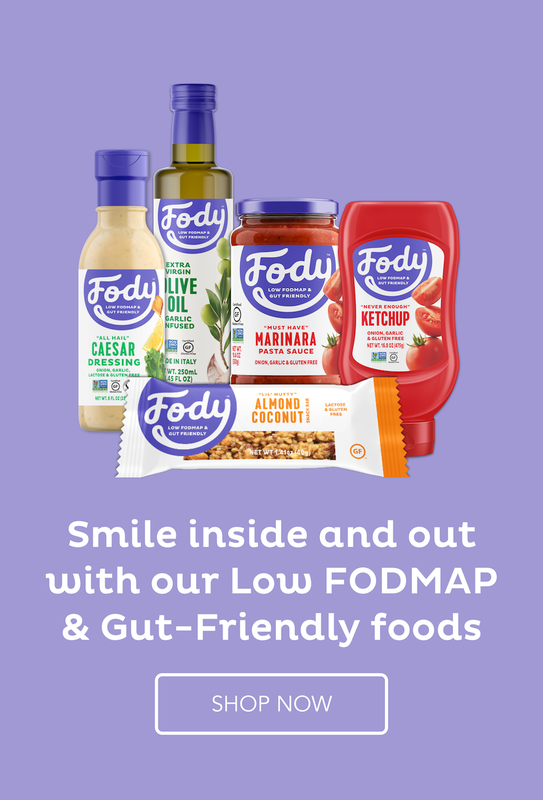 It would actually not be allowed on a low FODMAP diet because it is bean based but I am fascinated that it works in the same way as tapioca flour. Thanks for letting me know. What can you subsitute the coconut flour with? and is the amount the same with whatever you end up using? You will need to follow the link i the post but I remember they worked out well as a bread roll. I have made other bread rolls with just tapioca and they always work well. You might look around my site for some other ones – perhaps look under recipes/gluten free. This looks so good!. I love your recipes!. Thank you, Kelly. This is a great burger bun which I use over and over again. I made these recently and they were delicious. I noticed, however, that I wasn’t able to incorporate all of the oil into the dough while stirring and kneading, and that more oil seeped out while baking. They were also a bit gummy inside while perfectly browned on the outside ( I let them bake an extra 10 min; the oven was at accurate temp). Any ideas? Yes, I have oil seeping out too and try to incorporate it all and have reduced the oil a little. I don’t have any seeping out during the cooking though. It is necessary to work really hard on the kneading process to get the mixture homogenous so there are few of the more gummy bits which is the tapioca gel but I actually quite like having some of that gumminess. I don’t think cooking longer will affect that too much because it is the nature of tapioca flour and liquid when mixed and heated. This time I only used a scant 1/3c oil and did not have trouble incorporating the oil, or any seepage while baking. The inside “gumminess” was still present but I think it is due to the egg-to-flours ratio; it’s not tapioca gumminess. I actually enjoy all of the kneading required to incorporate the tapioca, since I miss kneading wheat bread. They are delicious, and I really enjoy having buns for my burgers, etc., again. I think I will change the oil amount in the recipe because it does work with less. I think the gumminess is part of the recipe and like you I love the flavour and the kneading process. I have another recipe I tried the other night which was very good. I want to make it one more time tonight to make burger buns and then I will put it on the blog if it is as successful. 1) have a clumpy, non mixing mess when adding and mixing tube tapioca flour and oil? 2) have a lot of oil left on the pan after baking? Thanks ! I’m a new, and grateful fan! Sorry, Gwen, I didn’t reply until today but yesterday my blog went down and I only got it up again late last night. Funnily enough the comment above yours asked the same questions so I will use the same reply: Yes, I have oil seeping out too and try to incorporate it all and have reduced the oil a little. I don’t have any seeping out during the cooking though. It is necessary to work really hard on the kneading process to get the mixture homogenous so there are few of the more gummy bits which is the tapioca gel but I actually quite like having some of that gumminess. I don’t think cooking longer will affect that too much because it is the nature of tapioca flour and liquid when mixed and heated. They don’t really rise very much so just make the buns a bit thicker. Yes, the mixture is very gummy after being heated. Read a few of the comments above to see what my readers have said about their experiences in making these. try again and good luck. I love this mixture and it’s great for pizza bases too. I’m curious… what is the function of heating up the oil and water? A heated liquid is necessary to activate the tapioca flour so it becomes gooey and sticky to form the dough with the rest of the ingredients. Without the heat, this doesn’t happen. It’s fascinating to watch. They are really good. Chia seeds are a great egg replacement but I have never tried them in this recipe. You could give it a go with perhaps 1 tbsp of seeds. But I can’t guarantee the results – it would be an experiment. You might need a little more water to counter the loss of the moisture from the egg. I made these today using flax “egg” (2T ground golden flax, 6T boiling water, stir until gelatinous) and it worked just fine. Sounds fabulous. Thanks for letting me know. Found the recipe by accident last weekend (thank you, StupidEasyPaleo) … made them, LOVED them, had them approved by the Diet Troll (aka our Trainer) as “sometimes” food. We can now eat “bread” again after having felt guilty everytime we slipped up and ate the real stuff. I’m glad you liked it. Stupid Easy Paleo very kindly shared the link to my recipe so thank you from me too. This is a great bread roll. I love the tapioca flour taste and texture. It’s interesting to work with. This sounds like a great recipe but I need to substitute the tapioca flour (starch) for something else. I am on a grainless, low carb diet and Tapioca flour is really high in carbs and has no fiber or protein to it. What about flax meal, or Hazelnut flour, Soy or almond flour? Kazy, I am afraid that the tapioca flour is the key ingredient to making them what they are. It has a very particular property to it that makes the mixture gluggy. So sorry about that. These dietary restrictions are a pain but if they lead to better health then they are well worthwhile. These buns are amazing! I could easily eat them every day, however, due to the carb load, I do not! They stand up to anything I can throw on my burger, and my husband even shaped them like hot dog buns! I love them too and yes, you can play with them and make them into all sort of things. I usually just use good quality minced meat and season it without any other additions. I occasionally add cumin seeds for a bit of extra flavour. Hi, I just tried making these for the first time. Unfortunately they came out rock hard, I am at a loss as to what went wrong, I followed the recipe exactly, any ideas? I suspect you overcooked them. They should stay gooey in the center so stop baking them sooner rather than later. They are crusty on the outside but soft in the middle. Just wondering…. the rice flour is 1.5 cups but if you substitute coconut flour, you use only half a cup? This is only a third of the rice flour amount. Is this correct? Does it make less or smaller rolls then? Coconut flour is a very particular beast and absorbs a lot of liquid so you have to use less. I was wondering if you have to use cumin seeds? I don’t have any and I’m really wanting to make this. No, they add flavour and don’t contribute to the chemical balance.